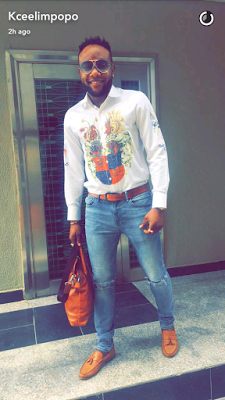 Glowy: Happy New Month / Kcee Shows Off His Shoe Closet. 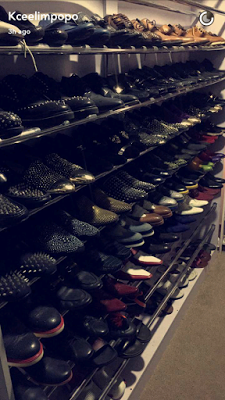 Happy New Month / Kcee Shows Off His Shoe Closet. Happy New Month to each and everyone of you.. i pray this month comes with lots of blessings.Mehn we finally in the last lap of the year. Chaiii i remember back during my university days, when girls come to borrow we call them borrowers club peeps.. But criosly Kcee has an impressive and enviable closet. Related: Check out Kcee's Shoe Styles. Oh my. That closet is like a shoe shop. Happy New Month, sweetie! My dear that's what i thought too..lol.. Happy new month dearie, not bad @ closet. All these shoes for one person? And they are beautiful collections. Kcee ooo!!! Glowy back to back. That is a shoe shop on its own nah. How many people have up to 50 pairs not to talk of 100 or 200? Love the neatness of the closet. What an awesome shoe collection! Just wow. Lool. I love shoes too and who knows this can be me. Amen. Hehe. Happy New Month. That closet looks like a shoe shop. But when you love to shop shoes, no one can stop you. I love to shop shoes and I'm crazy about scented shoes. I think, scented shoes are the best thing in the shoe world.